Undoubtedly what attracts travellers to a specific destination is its rich cultural heritage and history. A country’s past can be seen as its DNA. Mykonos has a rich past originating from mythology, which amazingly unravels before your eyes. In Mykonos you will be introduced to stunning beaches, scenic landscapes and mesmerizing landmarks are fused together with the island’s fascinating history, thrilling myths and local customs. It goes without saying that the island’s past has shaped, to some extent, its cosmopolitan present and its present will inevitably shape its future. Mykonos and Delos islands were considered as the centres of culture in the past, where stories of gods and goddesses carried out. Delos Island was the birthplace of Artemis and Apollo, both Greek gods. 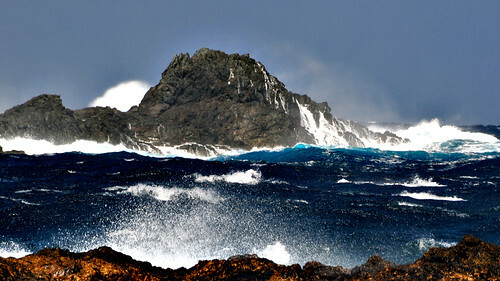 Mykonos was the place of heroes where battles between gods and giants took place. Mykonos was conquered by a multiplicity of foreign nations, starting with the Romans. After the Roman reign, the Byzantines invaded the island, which were followed by the Venetians. Finally, the Ottoman Empire took control of Mykonos, led by Barbarossa a Turkish admiral. In 1821 the Greek Revolution broke out and the island played a vital role in the war. One of the island’s heroic figures is Mando Mavrogenous who contributed greatly to the Greeks fight for independence by donating her wealth to the war and fighting proudly in battles. In 1830, the Greek Republic was finally a reality and Mykonos was part of it from the beginning. 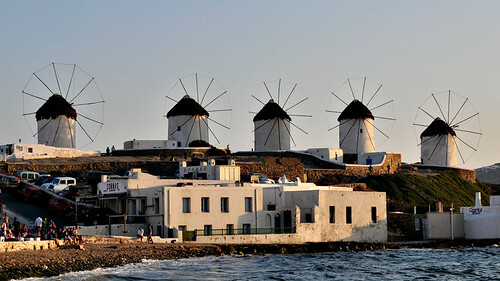 Mykonos at present is one of the hottest tourist attractions of all times. It is described as the island of the winds, the island of stunning golden waters and whitewashed homes, the home of windmills where simplicity meets luxury. The sun-kissed island has been blessed with a glorious coastline, the best amongst the Cycladic Islands. It is the island where thousands flock to enjoy its azure-like waters and soft sandy beaches. Back in the 60s the island’s shoreline was the reason the rich and famous were drawn to Mykonos. That was the beginning of an era, and soon Mykonos turned into a cosmopolitan destination amongst the crème-a-la-crème society, fashion designers, Hollywood stars and artists. Since the 60s, Mykonos has developed into one of the most attractive holiday destinations in the world, luring not only the rich and famous, but a diversity of people like you and me. The island is known for its simplicity yet luxury, its past yet present, its natural beauty and vibrant nightlife. In all, Mykonos has all the features that make up a dream holiday! Although the future is unknown, Mykonos stands as a strong and thriving tourist destination year after year. The island is no longer attractive amongst the elite or aristocratic society, but welcomes all kinds of travellers from a diversity of backgrounds. Mykonos is and will be popular amongst stars, families, lovers, gays, the youth and elderly. Mykonos has a diverse character. On the one hand, the island accentuates its history and culture through its many sites and landmarks and on the other hand it is viewed as a hot and cosmopolitan destination. These two worlds combined make up the perfect holiday destination for all, which will continue charming all its visitors. Mykonos Theoxenia Boutique Hotel is a symbol of the island’s past and present all in one. Mykonos Theoxenia Hotel is a gem found in the hub of Chora, where all that is happening is happening! Mykonos Theoxenia Hotel is a glamorous five-star boutique hotel that attracts all kinds of crowds looking for a stunning and glamorous accommodation facility that is well-known for its attentive service, ample activity and facility, in-house restaurants and bars and posh style! The hotel is a blend of the old with the contemporary, its structure has been preserved from the 1960s and it is elaborately decorated with contemporary furniture and art pieces.